There’s just something special about Sundays in the park. 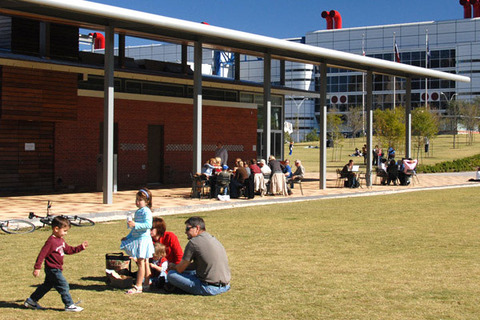 Families are invited to enjoy music, lawn games and more at Discovery Green for a relaxing and refreshing day together. Check out the library cart at the Houston Public Library outdoor reading room and our resident Art Cart “Rocket Dog” for games.